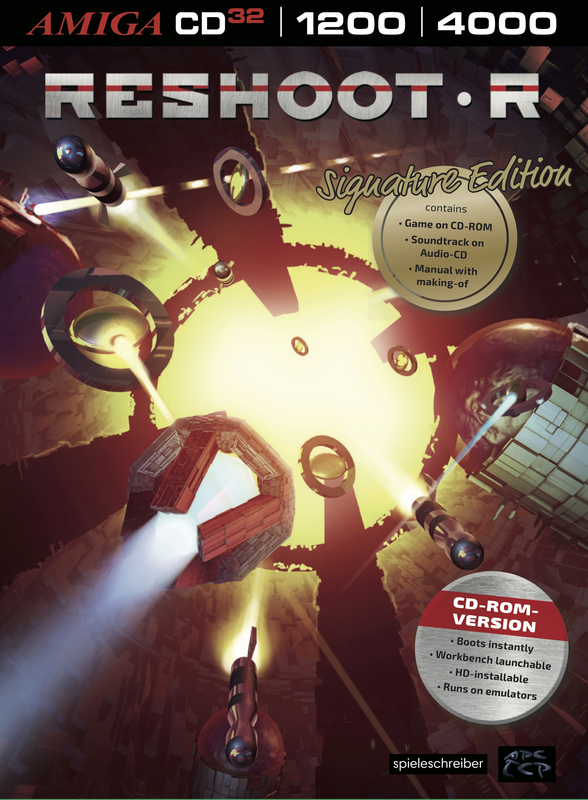 RESHOOT R - beautiful action for classic hardware. 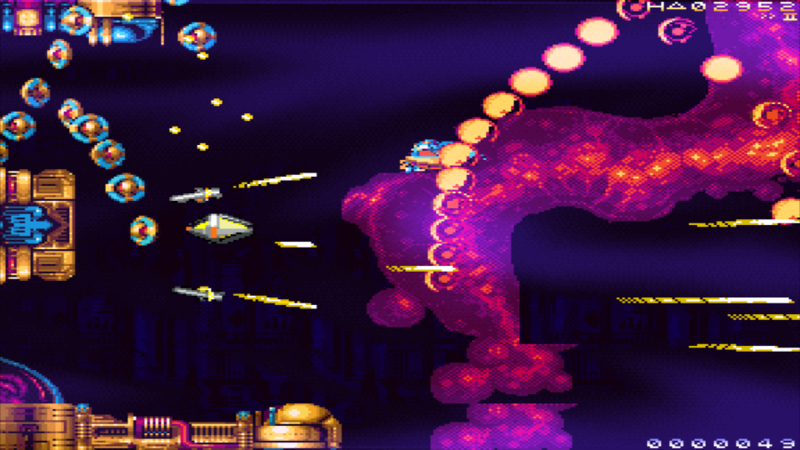 RESHOOT R is a horizontally scrolling shoot´em-up. It´s about reaction, tons of enemy objects, dodging them and admiring their ballet. The sound is woven with the gameplay, the animation, the whole experience. 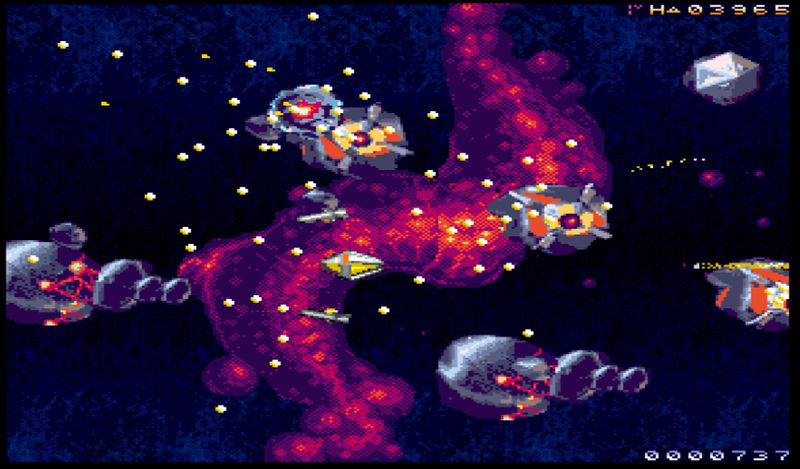 Louder, more colorful, more playable, more spectacular than RESHOOT – that´s RESHOOT R. The game is characterized by adrenaline rush gameplay, amazing attacking waves, an extra weapons system, a carefully balanced difficulty curve. It´s crazily written in pure assembler language, handcrafted to your Amigas hardware. Admire multiple layers of organic fogeffects and smooth parallax scrolling. 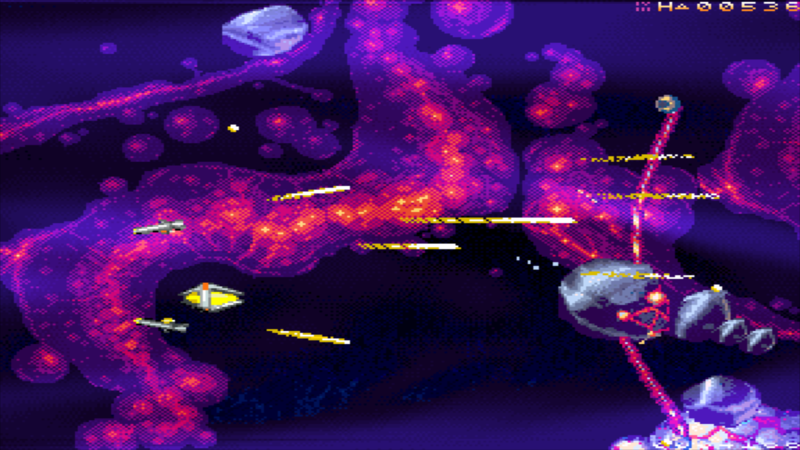 Experience lots of objects, some small and some big ones, like you never seen before on Amigas. Expect additional appearances from famous artists of the retro and demo scene. Wellknown Pixel guru Oliver Lindau adds his personal twist to the colors and graphics, so does Factor 5-artist Andreas Escher. The boss music will be something special too. multiple layers of organic fogeffects and smooth parallax scrolling. "One of the best European shooters ever"
"Louder, more colourful and far more spectacular"
"Alles auf Anfang, aber mit Wumms"
Please click if you want to support RESHOOT R prior to its release at patreon.com. An Amiga game with online highscore table? Yes we can . 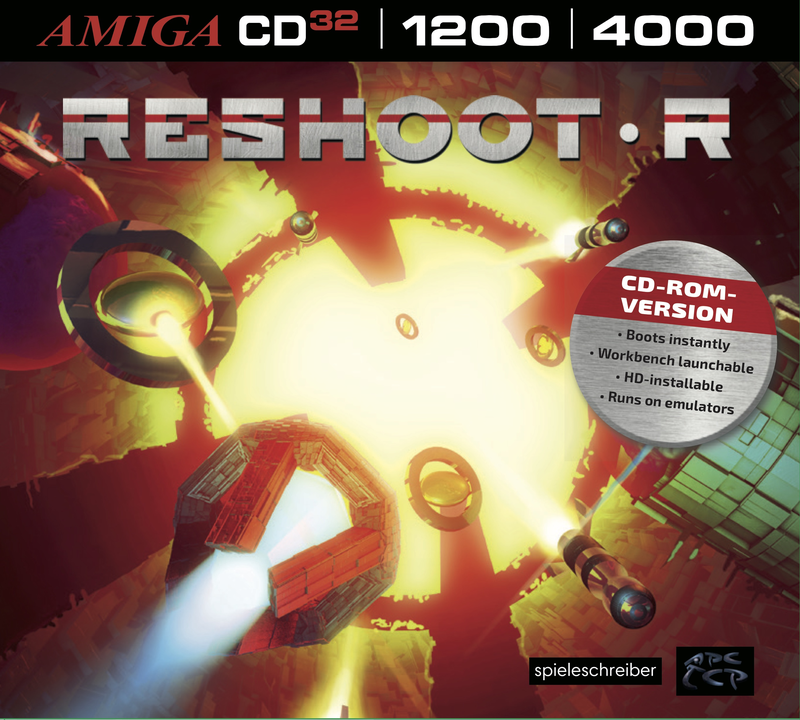 Will be available soon here: amigashop.org. More information on Spieleschreiber, our logo & relevant media are available here.